The 78 new hospital beds promised to ease the trolley crisis this winter will be shared by only four hospitals, the Irish Independent has learned. Some hospitals which have been particularly hit by overcrowding in recent months – including Waterford Hospital, St Vincent’s in Dublin, and Tullamore – will lose out in this round. Although most of the new beds will not be available until early next year, the hope is a number may be ready for the worst months of overcrowding, beginning in January when trolley numbers could soar to 1,000 a day. The share-out includes 30 beds for Our Lady of Lourdes Hospital in Drogheda, and a 40-bed modular ward block in South Tipperary General Hospital. There will be four high- dependency beds in the Mater Hospital in Dublin and four others in Cork University Hospital. The HSE said an additional 240 beds were added last winter and earlier this year, including 29 beds in Our Lady of Lourdes, Drogheda, and 22 in St Vincent’s Hospital, Dublin. Twenty-four have been added at the Mater Hospital and 23 to St James’s, both in Dublin. Other hospitals that have received the much-needed beds in the last round included University Hospital Limerick, Galway University Hospital, Naas Hospital, and St Luke’s Hospital in Kilkenny. Among the extra beds were community beds, including 30 in Cork and four in Newcastlewest in Limerick. 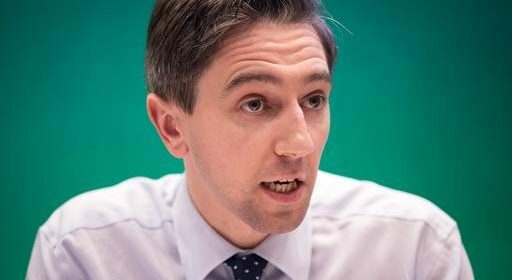 Meanwhile, Health Minister Simon Harris will officially open a new €1m cataract centre in Nenagh Hospital to serve the surrounding region. Nationally there are still 72,700 public patients on waiting lists for various forms of surgery. This may fall to 70,000 by the end of this year and less than 59,000 by the end of 2019. The number of patients waiting more than nine months has reduced from 28,000-plus to less than 19,000 since July last year, Mr Harris said. This amounts to a 32pc reduction.